Design and installation of fixed price foundations for new dwellings, home additions and extensions. Certified and fully engineered Anchorpile foundations. Anchorslab void former system combined with Anchorpile foundations, especially relevant for reactive soils and problem sites. 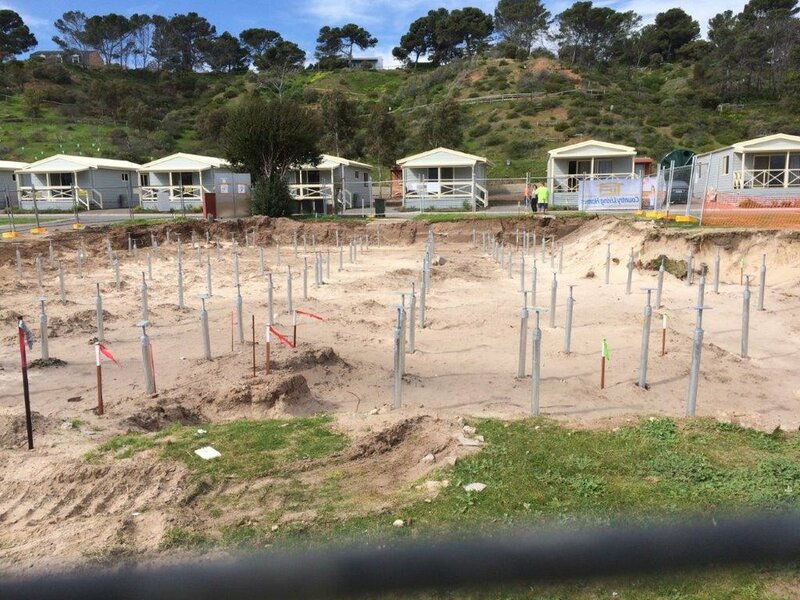 Anchorpile has established a reputation as a company that specialises in undertaking foundation and footings where soils and site conditions are problematic. 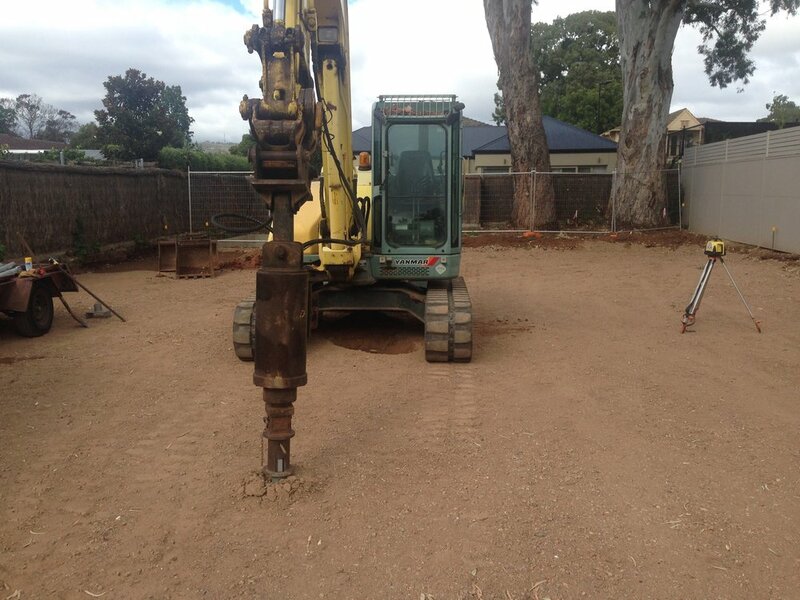 Our screw piles ensure your foundations are supplied & installed to the correct depth to meet engineers specifications. All work is fully engineered & certified in accordance with AS2159 – Piling- Design and installation. 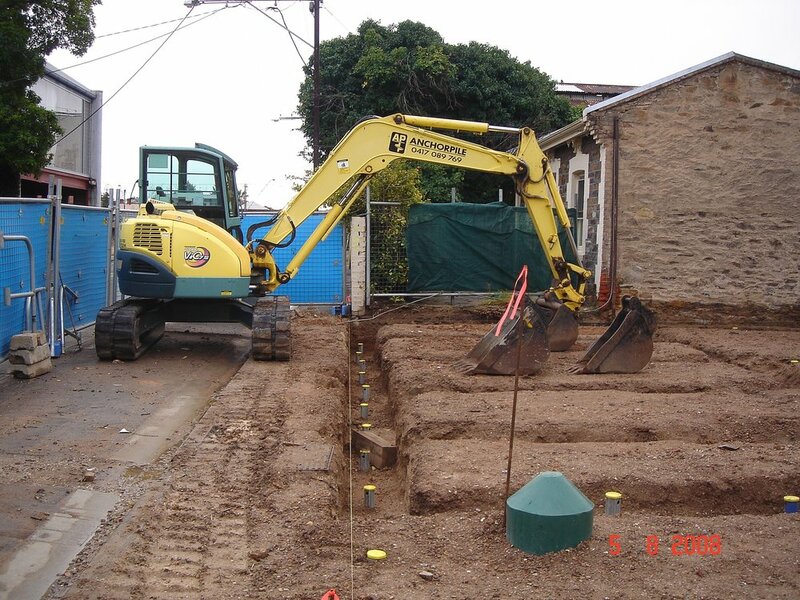 Together with a comprehensive soil test and your engineer's design we can provide a fixed price for your foundations. have you had blowouts due to weather? The Anchorslab system is supported by our screw piles and together with void formers makes it a cost effective, speedy slab installation. Knowing the soil you build on is paramount. It assists your engineer to design the right foundation solution for your project. Together with a comprehensive soil test and your engineer's design we can provide a fixed price for your foundations. In conjunction with field testing we provide lab tests from our NATA accredited laboratory. 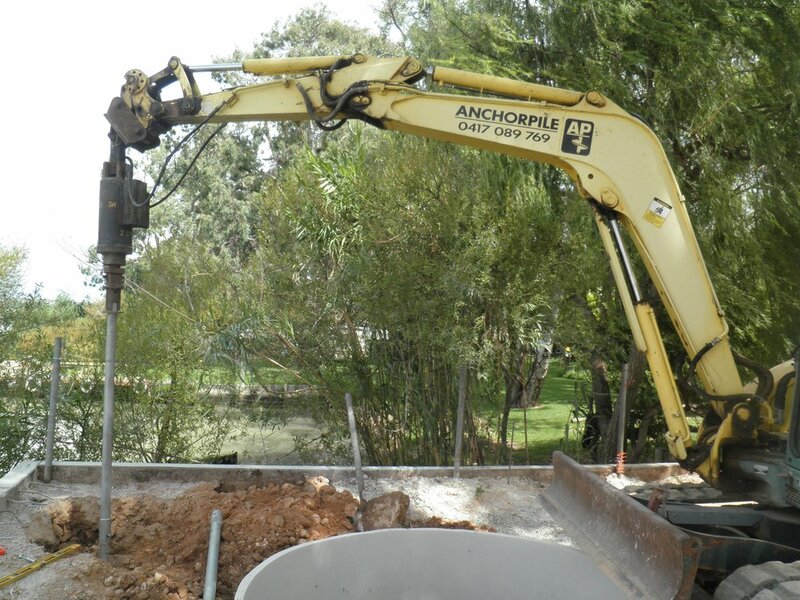 Anchorpile is pleased to have an association with The Adelaide Tree Surgery, that has a keen focus in assisting builders, developers and their clients with significant trees on building sites. The team at 'The Adelaide Tree Surgery' is led by Mark Elliott and David Norton, who have been providing professional and high quality tree management services to both private and corporate clients in Adelaide and South Australia since 2002. They can also assist developers, builders and their clients to comply with the Australian Standard AS 4970-2009: Protection of trees on development sites. your time, your money and your site! Contact Peter Harrison on 0447 721 655 | sales@anchorpile.com.au or complete the form below. 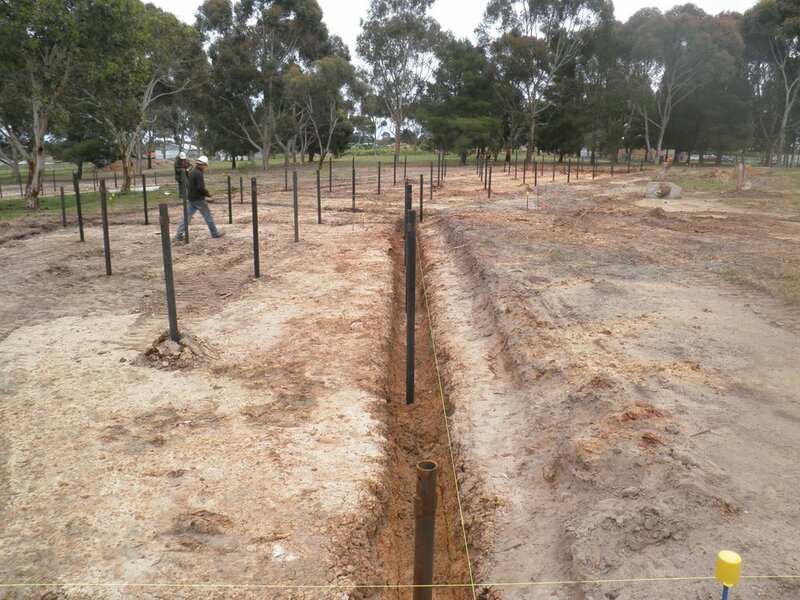 Anchorpile is delighted to have a working relationship with one of South Australia’s most highly regarded and experienced geotechnical engineers, Dr Peter Mitchell, who provides his SLOG software for engineers. SLOG enables engineers to easily and effectively undertake calculations associated with the preparation of technical drawings for foundation and footings in accordance with the specific soil reports and site conditions of each building site. Dr Mitchell SLOG software can be found at www.slog.net.au. Work on the ground not in it! We're local and understand the unique soil conditions in and surrounding areas of Adelaide. For all Anchorpile or Anchorslab enquiries, please call Peter Harrison - 0447 721 655 or use the form. Take control of your next project with Anchorpile and Anchorslab.